APRIL’s enhanced sustainability policy is the result of considerable stakeholder engagement including inputs from Greenpeace and WWF. These new policy elements take affect immediately and apply to APRIL Group and all of its suppliers. The evolution of our SFMP is the culmination of a 15-year sustainability journey. In 2002 we introduced a chain of custody system to ensure no illegal wood entered our mill. This was followed by the pioneering of high conservation value assessments, leading to the protection of 250,000 hectares of forest in our concessions and eco-restoration of a further 70,000 hectares. In 2014, we introduced our SFMP and the Stakeholder Advisory Committee (SAC) was formed. In building on our SFMP commitments we have taken on board the guidance of the SAC as well as stakeholders including our customers, partners and NGOs. This has helped us arrive at solutions to accelerate our progress towards sustainability and maintain the right balance between environmental, social and business imperatives. 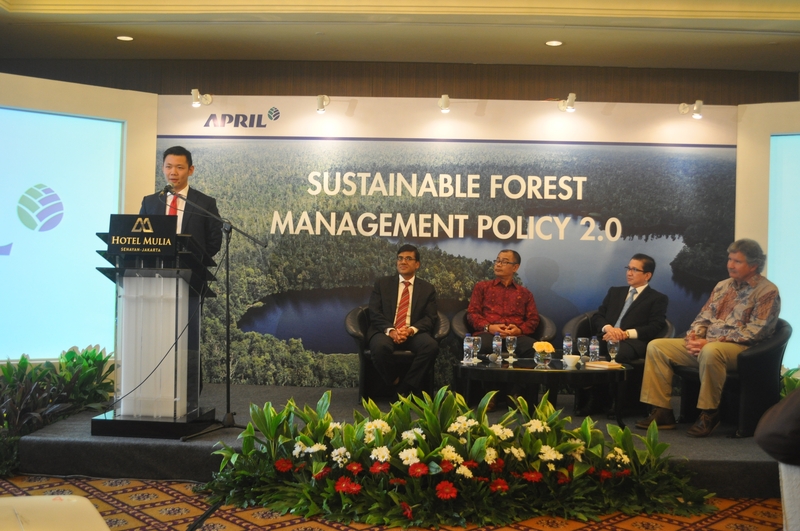 You can view APRIL Group’s updated Sustainable Forest Management Policy here and the Bahasa Indonesia version here.